Sally Jane Norman is a cultural theorist/ practitioner whose research is focused on live art and technology; docteur d¹état (Paris III), co-/organiser of workshops, performances, and seminars exploring human interactions in digital environments at the International Institute of Puppetry (Charleville-Mézières), ZKM (Karlsruhe), STEIM (Amsterdam), Ecole supérieure de l¹image (Angoulême/ Poitiers), IRCAM (Paris). Since September 2004, Director of Culture Lab, an interdisciplinary research facility at the University of Newcastle upon Tyne. She has served many organisations dedicated to transdisciplinary research, including the Daniel Langlois Foundation in Montreal, the "Vida" Artificial Life Competition organised by Telefonica in Madrid, the Scientific Council of the Fine Arts Division of the French Ministry of Culture, and the Hexagram Creation and Research Committee in Montreal. Sally Jane Norman was born in Aotearoa/ New Zealand in 1953, where she studied music and dance, and earned Bachelor and Master of Arts degrees from the University of Canterbury. She pursued her research in Paris with a Doctorat de 3ème cycle (PhD) at the Institut d'Etudes théâtrales, Université de Paris III (1980), and a Doctorat d'état ès Lettres et Sciences humaines (1990). Parallel to French and English publications including studies for UNESCO and the French Ministry of Culture, Doctor Norman has run live performance workshops with digital tools at the International Institute of Puppetry in Charleville-Mézières, Studio for Electro-Instrumental Music (STEIM) in Amsterdam, Zentrum für Kunst und Medientechnologie (ZKM) in Karlsruhe, and European Festival of Digital Creation in Valenciennes. 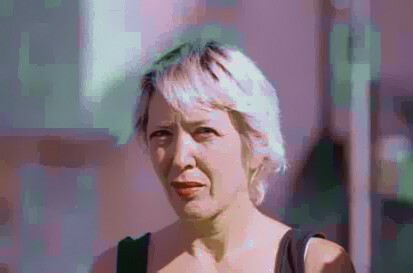 She organised the 1992 New Images and Museology Conference at the Louvre, and co-organised STEIM's 1998 TOUCH Festival and Symposium in Amsterdam, and IRCAM's Dance and Technology session at the 2003 Resonance Festival. Doctor Norman worked on EU R&D projects at the ZKM from 1996-1998 and became Director of the Angoulême site of the Ecole supérieure de l'image (ESI) in 1999. Nominated Director General of the school's two sites (Angoulême/ Poitiers) in 2001, she launched ESI's pioneering Digital Arts Doctoral Programme.